Seekerville: The Journey Continues: What Does Valentine's Day Mean to You? If I say the words Valentine’s Day. What are the first things that pop into your head? All the money that’s spent? The first thing that always comes to my mind is actually NONE of those things. It’s an incident that happened exactly thirteen years ago today. 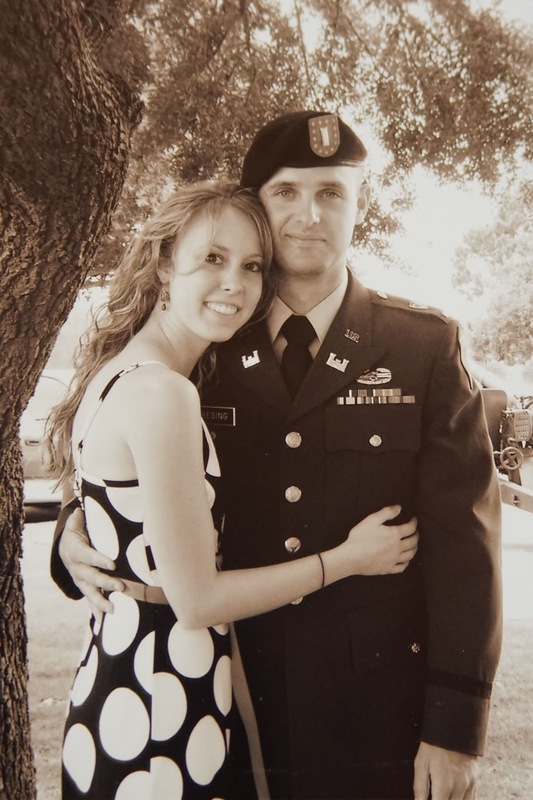 During those months of his training, I was thrilled anytime I was able to see him, and when he received clearance to have a few hours off for Valentine’s day…well, I was excited. We had to spend the evening in “double date” style, because of the “battle buddy” requirement. (In training they always had to have another soldier with them.) But that was okay, it didn’t dampen our very limited time together. We all went to a pizza buffet, got separate tables from the other soldier and his wife, but I noticed that the other soldier’s wife kept peering over at my husband and me…which felt…. odd. However, it soon made sense. In the midst of our first Valentine’s day as a wedded couple. Right in a crowded restaurant. Before I had finished my pizza. My husband told me that he was soon going to be deployed. Did you know that restaurant napkins aren’t ideal tissues? Well, they are so not, and crying in public is never on my top to-do list. Let’s just say our first married Valentine’s Day went anything than how I expected or planned or wanted. 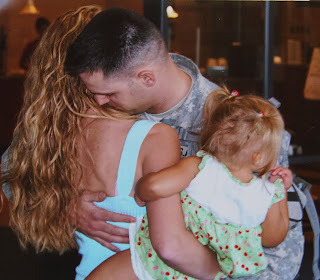 Later, I learned that my husband had known the bad news for a few days, that no other soldier in his group received the same orders, and he had carried the burden all by himself because he hadn’t wanted to tell me over the phone, wanting to share it with me in person. And the next in-person time just so happened to be February 14th…which is sort of sweet in theory….at least a little. But I asked him to in the future, to please go ahead and share any bad news asap. Unfortunately, he would have the chance to do just what I asked, but that’s a story for another day. In my debut, Perfect for the Preacher, which is included in The Mail-Order Bride Novella Collection, things also don’t go as everyone had pictured nor planned either. The hero, Amos, orders himself a mail-order bride to appease his potential church congregation. But when his bride, Sophie, arrives and the burden she carries are revealed…it isn’t a day the members of Hilltop Chapel will be forgetting anytime soon. Both life and stories are full of surprises, containing good and bad. A lot of the times not turning out how we hoped or pictured. (Kind of like this post, huh. You probably expected a happier theme?) 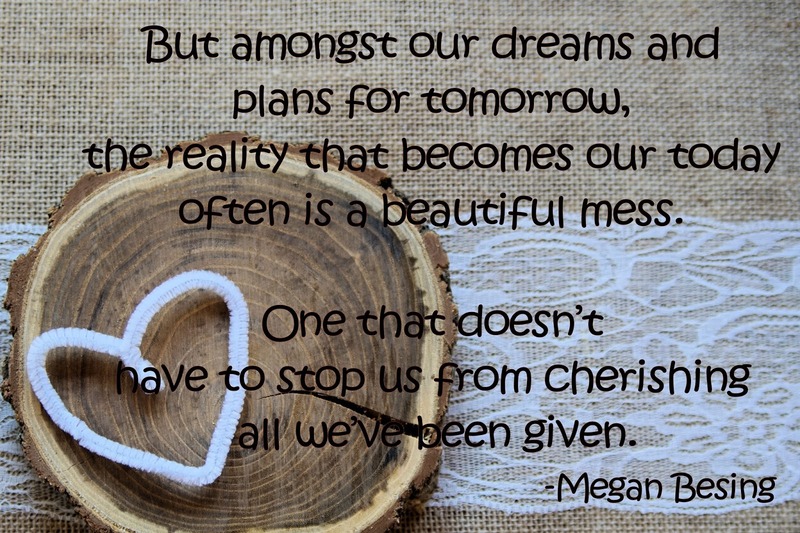 But amongst our dreams and plans for tomorrow, the reality that becomes our today often is a beautiful mess. One that doesn’t have to stop us from cherishing all we’ve been given. The Beach–– There’s just something about the rhythmed roar of the water hitting and splashing across the sand. And oh, the sight of its vastness, going on and on until it reaches the sky. Beauty. Power. It’s my place where I KNOW that GOD IS AWESOME. (I know this everywhere else too, but especially here. 😊 ) I love, love the beach. Just wish we lived a bit closer! Music–– It can brighten my mood, make me sing, and cause me to want to dance. Music everyday cannot be bad for the soul. Taking Pictures–– I love capturing a moment, especially of my kiddos. Pictures help me remember that they grow up too fast and to treasure each and every day. 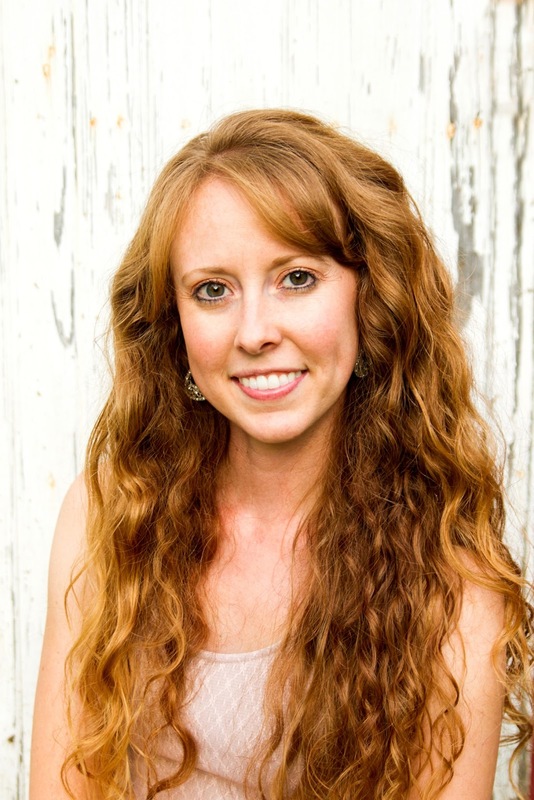 Writing— More specifically writing AND receiving a book contract. Now, that would be a Valentine’s Day I’d want to remember. Vanilla Coke— I know water is healthy. I know my body needs water. However, my taste buds prefer this soda. #truth And my husband knows I preferred to be surprised with a Vanilla Coke instead of a bouquet of flowers. Mascara–– Though “love” here is bit strong of a word, but you guys, I ‘need’ it. Lol. Soooo it’s going in the “love” department today, right up there by the trusted Chapstick. (Got to have that too. Anyone else?) But I don’t normally spend much money on makeup, or things for myself in general, so if I would receive one of those fancier brands as a Valentine’s Day gift…I wouldn’t complain. Cheese–– Cheese makes everything better. Need I say more? Those items make my short list for the day. I’d love to get to know some of the smaller things in life that you “love” to be doing, or receive today. Maybe a gift that you’d like to receive that isn’t a typical Valentine’s kind. Or you can share your story about a not so picture-perfect Valentine’s day you’ve had. 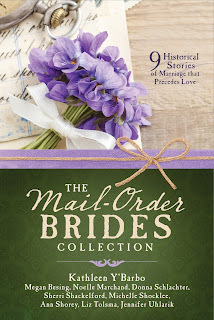 Ruthy note: Megan has graciously offered a copy of the Mail Order Brides collection to one lucky comment-maker today! So let's talk romance... Valentine's Day... what's gone right? And what's gone terribly, horribly wrong! She lives in Indiana with her husband and their children, where she dreams of the beach and drinks way too many Vanilla Cokes. Connect with Megan on Facebook and at www.meganbesing.com. 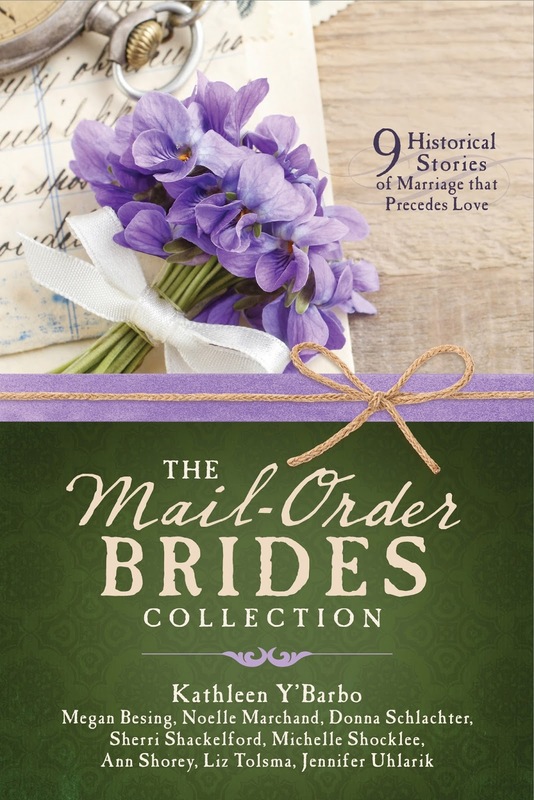 Okay, first of all, can I say I LOVE Mail-order Bride stories so I definitely NEED to have this book :-) Ah, and that cover just screams "LOVE"! See, it doesn't take much to make me happy either...a good book, time to read and lazy afternoon/evenings relaxing next to my husband on the sofa reading said good book is my idea of an ideal "date" HA! Okay I admit, I'm not the worlds most romantic person when it comes to figuring out what to do or buy for my husband on Valentines. It's NOT for lack of trying, it's just I'm not an "idea" person and freeze at the thought of what gifts to give (birthday's, anniversaries, Valentines day, etc). Please tell me I'm not the only one who struggles?? But I do LOVE spending time with my husband! Since we've been married almost 21 years, we have all the stuff we need, I'm not a huge chocolate fan...except Reeces--but that's more the peanut butter because I'm CRAZY for it--jewelry and flowers aren't my thing either (they just wilt after a few days) and who has the money to do anything beyond a nice dinner out? TIME is more precious than material things to us, especially as we get older. Even if it's just those quiet evenings spent together (him with TV/me with book), weekends perusing yard sales, a short or long drive or day-trip, talking about our day, or the mundane grocery trip (even those can be made fun). Since our kids are grown and don't need much attention anymore, we've found ways to spend time together and those memories built are much more precious than anything in the world! Oh Megan!! I also put my Reece's in the fridge, it's just better that way in my humble opinion! #weirdpeopleunite! Missy--same here! My husband would but me a dozen long-stemmed red roses and a HUGE box of gourmet chocolate from one of the many candy making stores here if he could!! He's so much better at gift giving than I am. Glynis--that's usually what I end up getting! I figure that way he can get something he really wants instead of politely saying thank you and not really enjoying the gift. Jan--HAHA!! Sorry to get your salivary glands going so early in the morning! Trixi --lol!-- #weirdpeopleunite :) Glad I'm not the only one who thinks this! Good morning, Megan! This post came out beautifully... and I think the shout out to our military, to their wives, husbands and families is the perfect way to celebrate Valentine's Day! For the Catholics who are recognizing fasting and abstinence on Ash Wednesday, (today) I say skip the Panera... and I wish everyone a peaceful Lenten experience of faith, prayer and reflection. I can't imagine what it must have been like to be Jesus... nor can I imagine what it must have been like to be his mother... watching. May God bless us... every one. Thank you, Ruthy. It's tricky when Ash Wednesday and Valentine's Day fall on the same day! Giving up chocolate, which is tricky because my husband just brought home a bag of the stuff, but that's why we have freezers, right? Anyway, Lent is more than giving stuff up. Thanks for the virtual Panera, I'm sure there's something I can have. Yeah, it is weird to have Ash Wednesday on Valentine's. We'll be having our regular service at church tonight. Thanks, Ruthie, for hosting me! #iheartseekerville And thanks for the bringing the beverages and food spread. :) I've already drank two cups of tea this morning, so of course I've brought along some Vanilla Coke too. Ruthy, are you channeling your inner Tiny Tim? Yeah, I'm one of those folks who cries her eyes out over those military reunions. Then on the news they go and show the military mom or dad showing up at the kids school to surprise them. Nothing like cooking dinner with tears streaming down your face. Mindy, I do, too!!! SAPS!!! Both of us! So when Megan sent me that picture, I was over the silly moon with it.... The nice post was just frosting on the cake! I cry watching the reunions too, ladies! Plus, we lived through so many with our son. They're always so emotional...hard goodbyes but joyous homecomings! Megan, Happy Valentine's Day to you and your husband! I'm a Navy wife and can relate to these surprises. In a few months, he will retire from the Navy, and we will look forward to the next chapter in our lives. Next month, we will celebrate 11 years of marriage. Every Valentine's Day, I'm reminded of the one right before our wedding. We were both very busy with the wedding plans and moving all of our stuff into the apartment he had just leased and I'd, of course, be moving in after we returned from our honeymoon. We needed to make some relaxed time for each other, and I was going to make it a priority. What did we have? Pizza. It was at a local pizza place, which sadly has closed since that time. However, for the first decade of our marriage, we had a pizza. Now, here's where it gets even more special. There have been times when my husband is on orders during this special day. Distance doesn't stop us from not only wishing us a Happy Valentine's Day, but also enjoying some pizza separately together, for a lack of better words. Tonight, for a change, we're going to have Chinese...and then go to church. That is our number-one priority, and we won't let this holiday take priority over it. But we will take some time for each other in the midst of our busy day. Faye, I love the "going to church" part. Christ is the true Foundation of a successful marriage. Because marriage is a reflection of our relationship to Him. Oh, thanks for sharing your pizza story! I love it. Enjoy this new stage in life! Will you guys be moving again, or staying put? Megan, he is in the Navy Reserves. Therefore, we will stay put in Knoxville, TN, his hometown (and it has become mine). Megan, I thought my husband and I had spent a few unmemorable holidays--anniversaries at Taco Bell, Christmas at Denney's--but your first Valentine's Day...Wow! I'm with, Ruthy. A big shout out and thanks to our troops and their families for their sacrifices! Barbara, I've had more than a couple of "meh" holidays, at least according to the Hallmark standard. Being together is what counts. Kathy, we definitely shouldn't measure our holidays by Hallmark standards! Hey Barbara! Well, I'm not sure I like that I beat you in the 'unmemorable holidays' department, but they have helped me remember what's truly important. :) Hope you have an enjoyable day and evening no matter where you guys find yourself. Megan, this is deep and we as Christians need to go so much deeper than the commercial version of this holiday. I cringe over shows like "The Bachelor," and even Hallmark movies don't take it far enough. He Loved Us Enough To Take Our Sins On Himself. Hey, maybe Valentine's Day and Lent aren't so far off from each other after all. Thank you for a great post. Enter me in the drawing! I just won a Ruthy book but I do love novella collections, so let's see if dumb luck will prevail. I just read an article that made the point that it is actually a really beautiful thing that Ash Wednesday and Valentine's are on the same day because without the perfect love of God in Jesus we don't even have a clue what love is. So love the people in your life with the best imperfect love you can and pray that Jesus fills in the gaps. KB and Glynis, you're so right about Ash Wednesday fitting in with Valentine's Day because of Christ's perfect love. Also, I reread the story of ST Valentine, a priest in Rome around 270. At the time, Emperor Claudius II banned all marriages because married men were exempt from the military and he needed soldiers. Valentine ignored the ban and continued to marry couples in secret. Arrested and sent to prison, Valentine ministered to those around him, which led the jailer and members of his family to accept Christianity. The emperor ordered Valentine to be beheaded on FEB 14, and prior to his death, he wrote a farewell note signed "From Your Valentine." Kathy, I love that idea! We usually celebrate Valentine's at a different time, too. We don't want to mess with the crowds at restaurants. And we usually celebrate our birthdays on a weekend so the kids can join us for a family dinner. Beautiful post, Megan. And thank you and your husband for your service. I'm an Air Force brat and I get the sacrifices military families make every day. Things I "love" today would be a great cup of coffee, a little music to get me going, time to read, a hug from my kids (they're teenagers now, so I have to hug them!) and time with the husband. Funny how as you get older the "things" you want become fewer and fewer and are no longer "things". Great post! Megan, love this post! Thanks to the military, and the sacrifices they and their families make. My husband surprised me with flowers and a Valentine's day card yesterday evening. But what made me really happy? He'd bought me a coke to go with our dinner lol. And we'll go out to eat this weekend. Since he used to work very early mornings, a lot of times holidays are celebrated the weekend before or after. Now that he's retired, you'd think after almost a year we'd have this figured out. Nope, not yet. Megan, welcome! I can't imagine how difficult that first Valentine's Day must've been. Military families sacrifice so much. Thank you. My dream Valentine's Day would be a quick getaway to the beach, fresh seafood for dinner, and breakfast made for me and served on a balcony overlooking the ocean. Then reading while sitting on the beach for the day. Hi Megan, thanks for your sacrifice and thanks to your husband too. I appreciate all you do for us, and I realize I don't begin to understand the depths of your sacrifice. Last year my husband and I were living in different states on Valentine's Day. We celebrated in January, and we talked on the phone, but I decided this year we needed to celebrate. So, I took him to ChikFilA for breakfast and we're going to out to dinner tonight. And last night we went to a movie so we wouldn't feel rushed tonight. I love everything about this day, and I hope you all find some way to celebrate! Any day I get to go to ChikFilA is a day to celebrate. #loveit I hope the movie was a good one! Good morning, Megan, and welcome to Seekerville. I loved reading your story (thank you for not making me cry). My husband is retired Navy, so I feel your pain. You know, I think one of the most romantic things I ever did was when he had to go to Korea for a two-week exercise. I took one of those plastic school boxes and filled it with little odds and ends and each one had a little note attached to it. He was instructed to pull out one each day. The only one I can recall right now was a Hershey kiss with a note read, "Can't wait to kiss you again" or something like that. Hmph, I guess your story triggered that memory, because I haven't thought of it in years. And apparently my romantic side has dwindled over time, because all he got today was a card. A store-bought one at that. Maybe I'll do better next year. But... for the women out there who LOVES getting gifts and is sad when she doesn't, then her guy probably needs to get a clue. Me? I'm just not like that. It just doesn't bother me. Pam, when our kids were little, I used to fix a special dinner for us. We'd get the kids pizza or fast food and let them party in front of their favorite movie while we ate a restaurant quality meal at the dining room table, complete with china and crystal. That kind of fell by the wayside after our youngest hit his teens. No we figure we can do that whenever and Valentine's day is just another day. Tonight our special dinner will be the Ash Wednesday Fish Fry at the Knights of Columbus. Honestly, I'm really looking forward to it because I love a good fish fry. So glad I triggered a sweet memory for you! My husband and I typically celebrate more the week before Valentine's because that's when we started dating seventeen years ago. Much less crowded and more special. Although he usually surprises me with a card and a bag of Dove chocolates. He knows the way to my heart. We've had a few Valentine's apart, but nothing as long as deployment. I can't even imagine. Your mail order brides story sounds lovely. I'm all about the less crowds and the dove (especially dark) chocolate! Megan, Valentine's Day story made me boo-hoo! The news would be emotional any time, but even more so on V-Day. We've never been a big fan of V-Day overkill. I'm not that interested in fighting a crowd to go out to eat, flowers are crazy expensive and wilt. Sure, I've gotten roses before and they're beautiful and a sweet gesture, but my hubby knows I'd rather he not spend money on something so fleeting. I did buy my Cowboy a tiny box of Ferrero Roche (sp) hazelnut chocolates and a can of specialty Iced Mocha mix from a friend of mine. And I bought the grandbaby a fluffy pillow, a cute headband and a Frozen heart-shaped box with a sucker and a bit of candy in it. I'm with you on those lingerie shop things... does that make us boring? Or practical? Or just aging, LOL! Megan, your story gives us just a tiny glimpse of what military families sacrifice to serve our country. Special blessings to you and your family. Valentine's Day is kind of a running joke in our house. Several years ago on Valentine's Day, my students (juniors) asked me if my husband sent me flowers. I told him his "excuse": Flowers are not a good symbol of my love because they die. Within seconds, he walked into my classroom with a heart-shaped tin. I told him I'd just shared why he doesn't buy flowers. His reply, "That's why I bought her fudge. It'll stay on her hips forever." :) My students got a real kick out of that! :) Happy Valentine's to all the "sweet" people at Seekerville! I can honestly say not much has gone wrong on Valentine's Days. My husband always remembers me in some way, even though we don't spend a lot of money on each other. But, he always remembers to tell me he loves me everyday. Megan, what a great post! This will sound bad, but it's the "thing" people are saying about Valentine's Day around here: "It's Singles Awareness Day." And that is sure how it felt before I met my husband. I was never one of the lucky girls who had a boyfriend on Valentine's Day. Like ever. But I met my husband right after Valentine's Day 22 years ago, and he's been the best Valentine ever. I guess the things I think of on this day include time with my three guys (husband and 3 sons), how to show them love. I love when my hubs does something special for this day, and usually he does something smaller. This year, he's traveling for work and he sent me some beautiful roses. And, yesterday, God showed me a heart on the mountainside as I drove my boys to school. I couldn't believe it. :) It was a bare patch of the mountainside that seemed to reflect a heart. I felt so loved by Him. But I digress. Lovec your post today, and I'd lve to be in the drawing for your book! Thanks Jeanne! I do love all the little things in life. Especially those tiny details that only God could organize! Your novella sounds fun and intriguing...I'm going to have to pick up this collection! My worst Valentine's story was long before I met my sweet husband. I was in high school, and was totally in *love* with this guy. He was cute, friendly, and fun to be with. We dated a few times, but nothing exclusive. On Valentines day, he gave me a card...but the card wasn't in an envelope. He had tucked it under the flap of a much smaller envelope. Sheepishly he admitted that he had written my name on the wrong envelope, and another girl had gotten a small card swimming in a too-large envelope. *sigh* I really liked him, too. We remained friends for several more years, but have lost touch. I hate to think how many years ago this incident was, but sometimes I wonder if he remembers that snafu! The story of your first Valentine's Day with your husband is sweet and sad. Thanks to both of you for your service! Thanks for sharing, Megan. I can honestly say not a lot has gone wrong on Valentine's Day. But my husband always tells me he loves me everyday of the year. That's the best Valentine ever, Tammie! Megan, Congratulations on your release and GO ARMY!! What a sweet story. Love the pictures. Megan, thank you for this wonderful post! I LOVE these Barbour Romance Collections! Yes, aren't they wonderful. I was a fan even before I had this chance. Hope you have a lovely day, Caryl. So I always sort of considered Valentine's Day MY holiday since my birthday is the day before it, but believe it or not, I've never had a valentine or whatever you call it. I have no idea! I haven't seen him for years! Oh, no!! I'm so sorry. :( But I hope you had a happy birthday yesterday :) Was there any yummy cake? Megan, God bless your military hubby! And God bless you! Military wives have to do it all while the guys are gone! A cut above, for sure! My hubby usually gives me roses on Valentine's Day and I love receiving them. We exchange cards around 5 PM so I have a bit longer to wait for the big surprise! I hosted book club at my house last night for dinner and hubby helped me throughout the day to get everything ready, which was so thoughtful. The girls had a great time while he spent the evening in his office/Man Cave! They say men show their love through action so I'm feeling well loved...whether I receive flowers or not. Ash Wednesday blessings to all. Debby, that's wonderful that he helped you get ready for your party! That definitely shows loving care. You'll have to send photos of your roses to FB if you get them! Hope the card exchange was wonderful :) ANd yeah to the hubby helping out. Loved this story! Yes, I was just contemplating how Valentine's Day is more how you and your spouse treat each other on a daily basis! Like when my husband fetches a drink for me while I'm ensconced in a book. Or how I mow the lawn so my husband doesn't have to after a long day's work. And right now, I'm recovering from Influenze B, which he graciously gave me! But I know, when comes to the brass tacks, we're there for each other. Always. Just as you are, too! Happy Valentine's Day! Sorry, you guys had to spend the day sick :( Praying you get better. ASAP! Hope you can enjoy some cookies and cream Hershey chocolate soon. Sorry about having the flu, Peggy! Hope you're feeling better soon! Thanks for this post, Megan. I felt sad reading your story, but thank your husband for his service. I'm sure Valentine's Day seems sweeter now, even if you don't make a big deal of it. My husband gave me roses this morning. They were on the dresser when I woke up. At least I noticed them. In the past he has put them on the dining room table and I have gone all day without noticing them! But I am sure there will be chocolates, too. I can't think of any major stories about our Valentine's Day. Tonight we will be going to church and out for fast food after. Sounds like you got it down. Take out and bringing it home sounds like a perfect plan indeed! Megan - actually today is my birthday, so when I think of Valentine's Day, the first thing that comes to my mind is, "I'm another year older"!!! LOL But over the years, many, many memories come to mind from childhood until now! My parents always made a big deal of my birthday and I had fantastic parties! 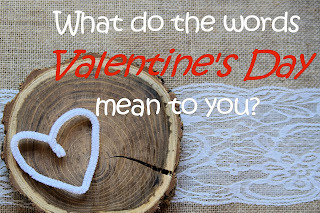 My husband and children usually made me feel special but there were times, I admit, when my kids were little that "mom" took a back seat to all the Valentine parties at school and such but that's as it should be! Overall, it's a pretty neat day to have a birthday! Happy Birthday, Valri! A special day to be born! Which of course means you're another year wise ;) Hope your birthday and Valentine's Day was lovely! Hello Megan! Thank you for sharing with us today! As a fellow military spouse I can certainly relate. 2018 has been a great Valentine's day so far. My husband had to work but he's home now and that's always the best gift. Congratulations on your new book! I love those Barbour collections. I think I've read about 10 of them :) They're so good! Valentines has no significance for me seeing as I'm single and never been married. My big February holiday is my Dad's birthday on Feb. 16. He will be 89 this year. I have a question for all you authors. I am getting confused after reading the many critiques for the first two chapters which I am hoping to enter in a contest. I am noticing they are wanting me to have no telling all showing. That would be great except this is already a super long book and I kind of figure you have to have some telling or the books would be way too long. How do you know how much to just tell. Some of this in my mind is the transition that is needed between scenes but you don't want to draw out for pages and pages. I have had difficulty in the past with making my dialogue into perfect English which becomes stilted when I need to make the dialogue like the people would really talk. Now that I have focused on this problem I am criticized in the opposite way. I am so confused now. Which is right? Anyway I changed what I felt needed and left it the rest of the way. I suppose these struggles just prove that I am not ready to get published. I wish I could be a part of a group that is local so I can speak in person and ask questions without having to be done on the Internet. I do hope that everyone who is married and has a sweetheart are having a wonderful Valentines Day. Hey Wilani! Have you tried searching for a critique partner? They have critique loops/partnerships in a lot of writing organizations, such as ACFW. :) They may not be someone local, but a 'click away' isn't that far and can be helpful with all your questions. :) As far as show vs. tell. Whenever I'm struggling to improve with a certain thing I either dig into a craft books on the subject or I go back to some books I've enjoyed and see how those authors did it. For many years we couldn't afford to give each other gifts for Valentine's Day but we always have cards. Some were purchased, others were homemade. We still don't do extravagant things. I fixed a good meal at home tonight because he worked until 8:30. I think that both of us take comfort in knowing that gifts aren't expected and that we both are blessed to have the other! We are kind of mediocre re V’s Day so I don’t have any real highs or lows to report! Usually a card exchange ( mine to him this year was a sweetest day card I found in my stash and I crossed out sweetest and wrote in Valentines!) often flowers and usually dinner. Chocolate if I request it. Thank you for the post and for the opp to win a book. My husband and I are not big Valentine people. We love spending time together. But crowd restaurants and large bouquets are not our thing. Years ago my hubby planned a wonderful Valentine's surprise. It started with a couples massage,(this was back when massages weren't a thing) lunch and a movie. My friends and his co-workers were green with envy. We will be married 45 years in August. We love just being together.With a house full of grandkids that is not easy. Thanks for a sweet post. I love mail-order Bride stories. My husband and I are not big into Valentine’s Day but our first together was very sweet. He surprised me with a big bouquet of red roses and that was extra special because we hadn’t seen each other much due to work schedules.